We hold the following shared vision as we work together to create and support Tokyu Group. We shall strive to create beautiful living environments,in which each person can pursue individual happiness in a harmonious society. Work independently and in collaboration to raise Tokyu Group synergy and establish a trusted and beloved brand. - Meet current market expectations and develop new ones. - Manage in harmony with the natural environment. - Pursue innovative management from a global perspective. - Value individuality and encourage the best from each employee. Collaborate to enhance each other’s abilities. Reinvent yourself with a global awareness. 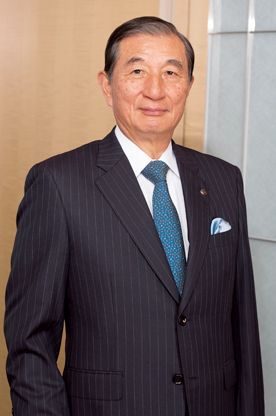 Tokyu Group is aiming for sustainable growth over the next 100 years. With our transportation business serving as a base, we at Tokyu Group are pursuing a wide array of real estate, life service, hotel and resort, and other businesses that serve everyday needs. In order to improve everyday life, we will continue to identify customers’ unrecognized needs and offer innovative services to meet society’s demands. We will do this by combining the diverse business functions of Tokyu Group’s companies in their various fields of endeavor. Our aim is to create increased value in communities served by Tokyu train lines and in daily life. Tokyu Group traces its roots back to the Den-en-toshi Company, which was established in 1918 to develop residential areas, and build and maintain rail lines. For the Den-en-toshi Company, developing residential areas went beyond simply preparing land for construction; it meant harmonizing nature with a city environment and creating communities that offered infrastructure for daily life, along with entertainment and cultural and educational channels. The underlying ideals of that approach have been carried forward—for example—with the Tokyu Tama Den-en-toshi development project. Now, as Japan’s population declines, we are continuing to create beautiful living environments by working with government and local residents to develop sustainable communities in various locations where multiple generations can continue to live together. In Shibuya, the home base of Tokyu Group, TOKYU CORPORATION and TOKYU LAND CORPORATION are leading a large-scale redevelopment project, which is considered by many to be a once-in-a-century undertaking. Already, the September 2018 openings of Shibuya Stream and SHIBUYA BRIDGE are giving rise to new flows of people and bustling activity in the community and a series of other projects is set for completion and launch in 2019 and beyond. Shibuya will change with each development, as the area transforms into a stage for people from around the world to work, play, and live. We believe that this type of urban development will allow us to play an even greater role in making Shibuya an entertainment city and a hotbed of business and cultural innovation. Of course, safety and security are at the core of all of our businesses. Once we are satisfied we have met these fundamental requirements, we strive to offer enrichment through consistently satisfying services. In order to continue to be a brand that our stakeholders love and trust, Tokyu Group will move forward ready to draw on all of its resources to fulfill its core aims of creating sustainable communities, building sustainable companies, and engaging in sustainable human resource development. We are grateful for the ongoing patronage and support of our stakeholders as we advance our business activities. Tokyu Group began as Meguro-Kamata Electric Railway Company in 1922. As of April 2017, the group comprises 219 companies and eight other incorporated bodies, headed by the Tokyu Corporation. The cornerstone of the group’s business is urban development underpinned by transportation services. For many years its business portfolio has spanned the fields of real estate, lifestyle services, hotels and resorts, business support services and many other activities deeply embedded in the daily lives of its customers. The group has adopted the slogan “Toward a Beautiful Age” to articulate its mission of creating beautiful living environments attuned to a variety of individual values. Its member companies work together under the principle of corporate autonomy, advancing a synergistic process of “collaborative creation” and building a Tokyu brand that is both trusted and loved. A proactive approach is also taken to grassroots community service, though work such as the operation of educational institutions and foundations, and the activities of Tokyu Associations nationwide.